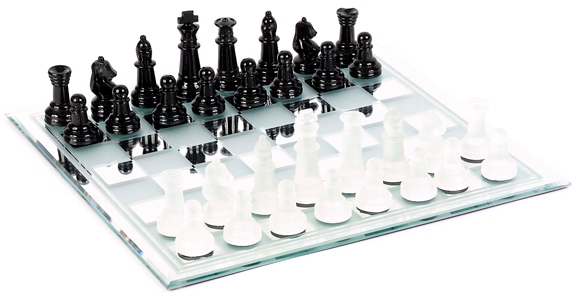 Glass and mirror chess set complete with glass chessmen. 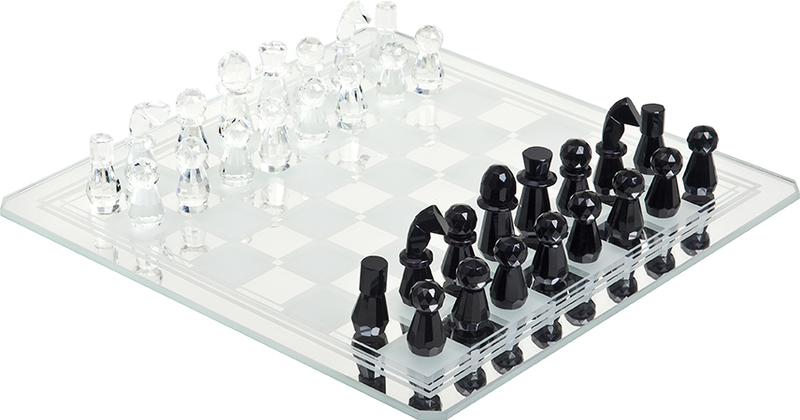 King Height: 3". 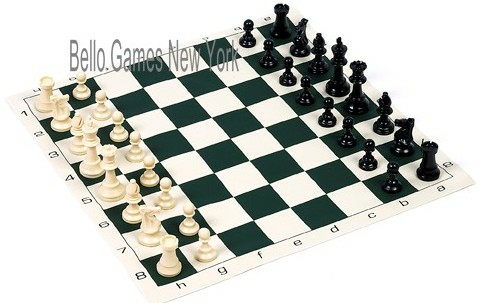 Chess board: 15".